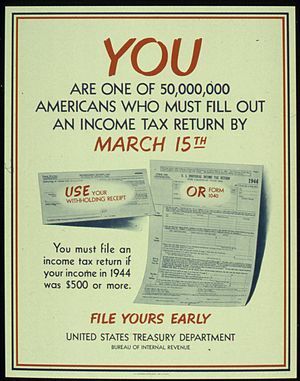 On February 3, 1913, the United States ratified the 16th Amendment to the Constitution and the federal income tax was born. Friday thus marked the 99th anniversary of a dark day in American history, one that continues to cast a long shadow over the nation. Sadly, that shadow is so broad and omnipresent that it defies detection by the vast majority of Americans, who don’t realize how much brighter their lives could be without it. As we enter the hundredth year of this failed experiment, it’s time to seek a completely different alternative. Building a consensus for that starts with fostering a more acute understanding of the income tax’s many fatal flaws. Complexity is in the income tax’s DNA. From its original 400 pages in 1913, the IRS code has exploded to span more than 72,000. Some of that growth springs from the never-ending competition between lawmakers and those who rightfully and legally exploit gaps in the code to minimize their tax burden. However, even more so, it’s due to the flexible nature of the code itself, which offers lawmakers an irresistible temptation to leave their own mark for posterity and political gain. Created for revenue, it’s used for social engineering, economic manipulation and special favors. The tax code promises countless blessings if only we make the “right” choices in life. The government uses tax law to entice us to buy electric cars, go to college, have kids, adopt children, buy houses, move to take new jobs, donate money to charity, save for retirement, buy public school bonds, install residential windmills…and on it goes. Of course, the real action is on the corporate side of the code, where it’s much harder to suspend disbelief about the government’s good intentions—and where special provisions favor both big industries and smaller constituencies like thoroughbred horse owners, Eskimo whaling captains and manufacturers of toy wooden arrows. It’s a magnet drawing money into politics. The reason there’s so much money in federal elections is that Washington—with its carrot-and-stick tax code and runaway spending—has undue influence on trillions of dollars coursing through every household and business in the economy, and the ability to alter its course through law. There’s simply too much money at stake inside the beltway and too many tax-code buttons for legislators to push. It’s an enormous drain on productivity and resources. According to IRS estimates, individual taxpayers and businesses collectively burn more than 7 billion hours a year complying with federal income tax filing requirements, diverting the workpower equivalent of 3.5 million people working full-time. It masks the cost of government. Thanks to the insidious practice of income tax withholding from employee paychecks—first enabled by the Revenue Act of 1942—it’s fair to say most Americans have little idea how much federal income tax they pay in a given year. If you doubt that, just wait for mid-April and ask friends and co-workers how much they paid for 2011. Many will happily reply, “Nothing! 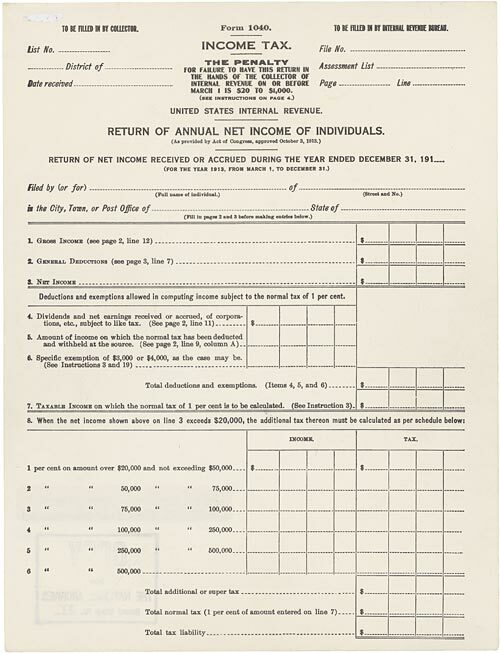 I got money back.” Concentrating on the final ledger-balancing act that is the filing of an income tax return, they forget that Uncle Sam steadily siphoned their money all year long. Imagine if, instead of having taxes steadily withheld from their wages, people were required to write one large check representing their entire income tax liability. If the cost of government were more explicit, it would surely check Americans’ collective appetite for our ever-expanding federal government. It takes money out of the treasury. According to the Joint Committee on Taxation, 30% of American “taxpayer units” actually made money from the tax system in 2009—thanks in large part to “refundable” tax credits. Unlike deductions and exemptions—which are used to calculate taxable income—a tax credit is a dollar-for-dollar reduction of your actual tax bill after you’ve calculated your income. Remember the first-time home-buyer credit rushed into law during the financial crisis? In 2008 alone, the IRS processed more than $600 million in credits for people who hadn’t purchased a home or who weren’t qualified first-time buyers. Among them: 580 claimants under age 18, including a budding 4-year old real estate tycoon. It was later revealed that 1,295 prison inmates had used the credit to defraud the government of more than $9 million; 241 of them were lifers. The refundable Earned Income Tax Credit (EITC), targeted at low to moderate income individuals, offers an even more glaring example: In 2009 alone, the IRS processed $11 to 13 billion in fraudulent or erroneous EITC claims. It’s an invasion of privacy. 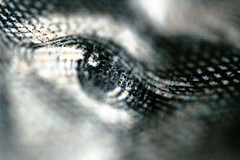 When it comes to government intrusion in the lives of citizens, nothing holds a candle to the income tax, which requires businesses and individuals to disclose a vast amount of information about their endeavors and their finances and then hold detailed records available for scrutiny by federal inspectors years later. Filing a 1040 form is the tax equivalent of a TSA backscatter X-ray: Among other things, the government demands to know how much you earned, where you keep your money, which investments you bought and sold, how many children you have, how much alimony you paid, which charities you gave to, the medical procedures you had and how many nights you slept in your vacation home. Is that in any conceivable way consistent with the principle of liberty that once defined our nation? While the under-100 crowd has lived under the income tax their entire lives, our nation has lived most of its life without it. Almost a century after its creation, the income tax must now be recognized for what it is—an unmitigated economic and political disaster that unleashes unintended consequences that still grow in number and magnitude. At a time when most talk of tax reform focuses on merely tinkering once more with rates, deductions and credits, we should instead focus our collective energy on ending the income tax altogether. If we aren’t to tax income (something Americans generally feel they have too little of), one alternative is to tax consumption (something Americans tend to do in excess). Consumption taxes—such as sales taxes—are routinely dismissed out-of-hand by critics claiming they unfairly burden the poor. Perhaps they don’t realize some models address that concern head-on by providing advance sales tax rebates on spending up to the poverty level. The most prominent and well-researched of those concepts is the FairTax—which is essentially a national sales tax on final retail purchases of new goods and services. I’ll write more about the FairTax in the future; until then, visit FairTax.org…and imagine all of the personal work, worry and waste of the income tax vanishing, replaced by a simple and transparent tax paid at the register. Add just alone the fact that U.S. made products are at a disadvantage to foreign made products in international trade, and it makes the FairTax a big winner. The additional jobs that would be created would heal the U.S. economy, and the investment in the U.S. by worldwide businesses would create a prolonged economic boom. Great article. I write about the FairTax every week and could not agree more. Read more at http://fairtaxcometh.com/.